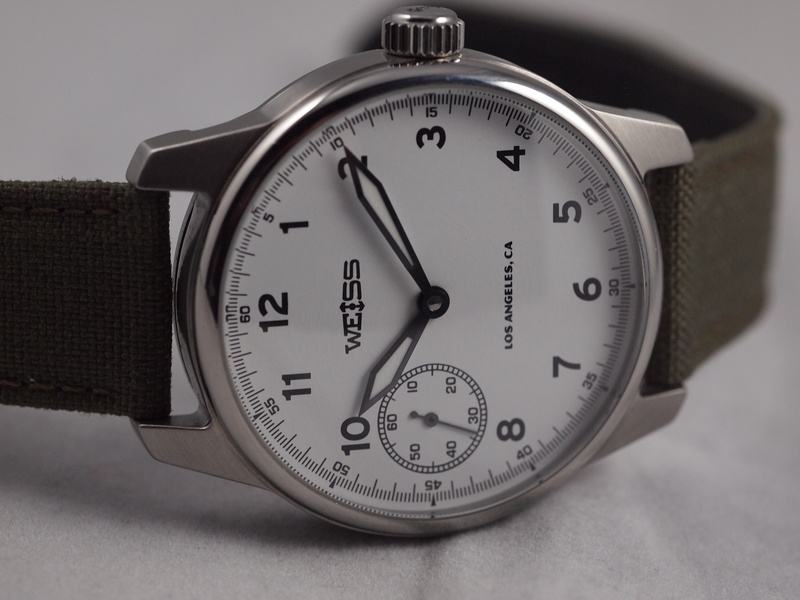 As a watchmaker and a supporter of all things USA-made I have often found myself with incredibly limited options when it comes to watches that fit the criteria of affordable, mechanical, and at least partially actually American made. There are several brands that are trying to do similar commendable things such as assemble in the US, but Weiss is the only one that makes and finished their cases in the US. While I like Shinola, and have a huge respect for what they are doing (and will eventually pick up one of their pieces,) I wanted a mechanical not a quartz. Of course there is RGM (I will hopefully be adding one of his pieces to my collection in the near future) but other than him there have been no young watchmakers attempting to onshore mainstream mechanical watchmaking until Weiss and the Field Watch. The only thing not American-made in this watch is the movement. Making a fully in-house movement is a herculean undertaking, and is far out of the reaches of a start-up. It takes a dollar figure with several zeros and many years to develop, prototype, and manufacture. 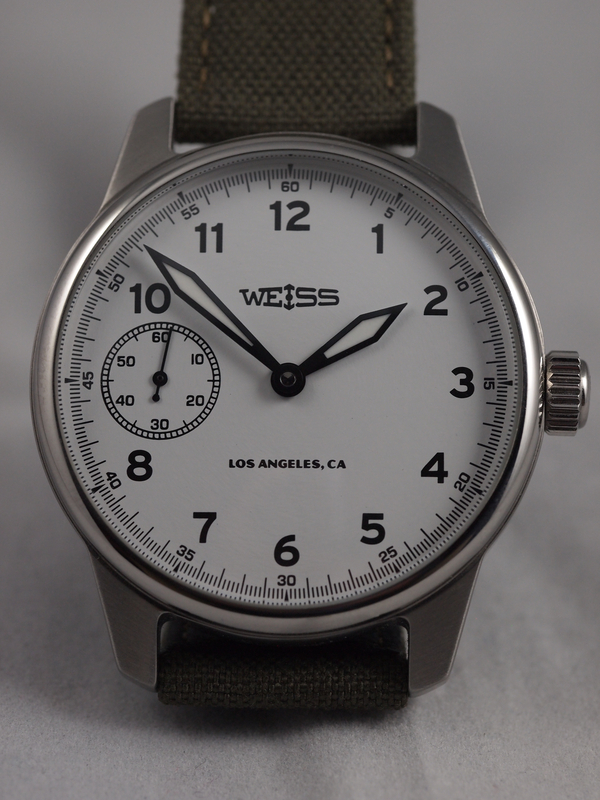 While I hope that Weiss will begin making their own components I was more than happy to obtain my first piece of theirs just to support the USA-watchmaking cause. After having this watch on for a number of weeks however I found myself going from a supporter to an advocate. The movement is a Swiss ETA 6497. To give some context to its utility, Panerai is one of the many companies who use this base movement. 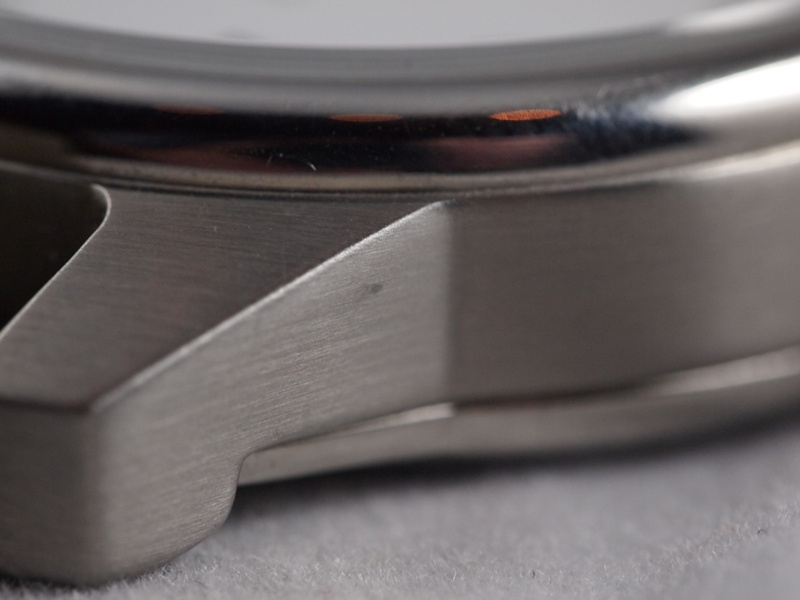 It is also the main base-caliber for watchmakers to use when they make their own components. 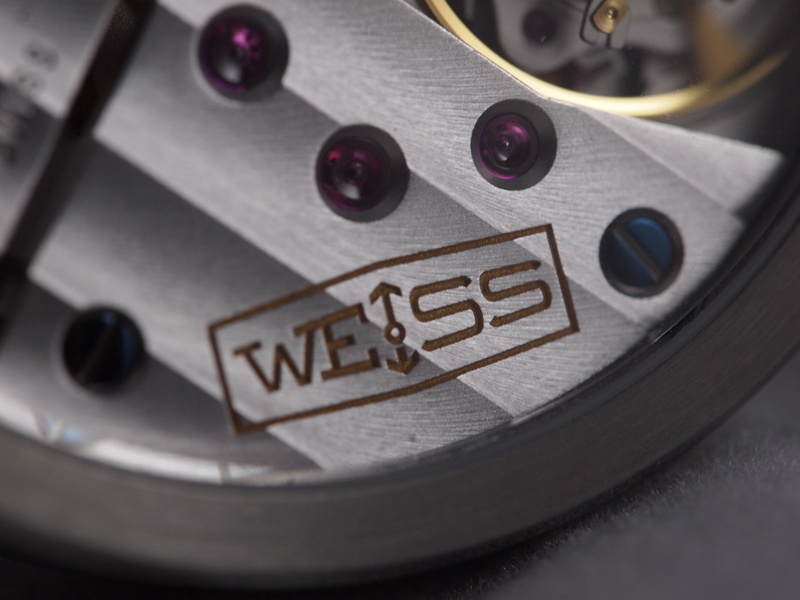 Weiss finishes, assembles, regulates, and tests all their movements in the US. This is an added amount of care and work that deserves to be appreciated, and is really a task that can only be done by watchmakers. All too often companies will order their cases, order their movements, dials, and hands and then have an assembler slap them together and ship them out. 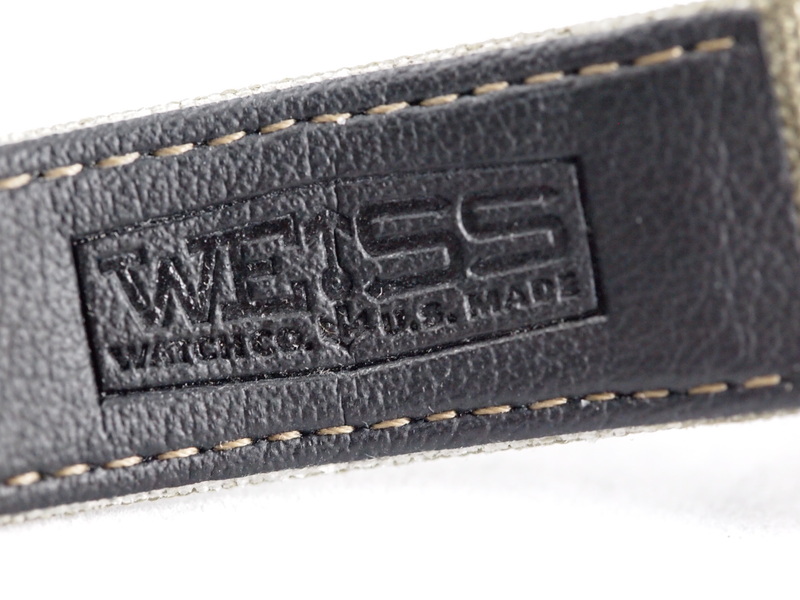 Weiss puts in the extra effort that for me sets it apart from some other companies using a standard caliber. They also have their cases made in the US, and hand-finish those as well. Finally, they make their dials in the US as well. 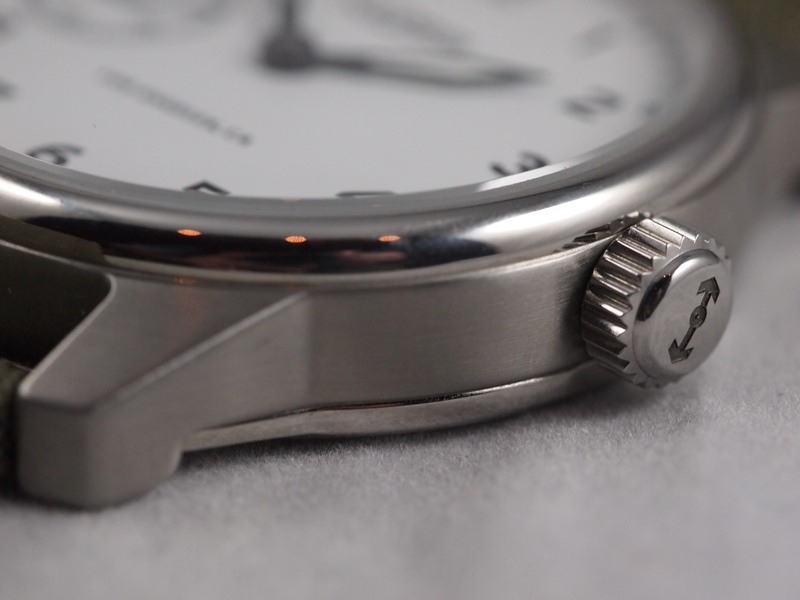 Other than RGM and KM Independent they are the closest you can come to American-made in the watch world. The affordability of the work they put in makes this a must-have piece for anyone supporting the growing talent and abilities of US-based watchmakers. I bought the field watch set as they are limited and come numbered. The packaging is very well executed. It arrives in a wooden case with a spring-bar tool (also USA made) and an extra band. While I have not used the extra band, as I am such a huge fan of the one it came on, it’s still a nice extra. For me the green canvas is (perhaps unintentionally) reminiscent of some of the greatest American timepieces made for our military such as the A-11. The lining makes it an incredibly comfortable and quick molding band. I was initially worried about the 42mm, but it wears small for its size. It is one of the few watches over 40mm that you can forget that it on your wrist. The case sits very well and that combined with the padded band makes it incredibly comfortable. The case details are aesthetically great. 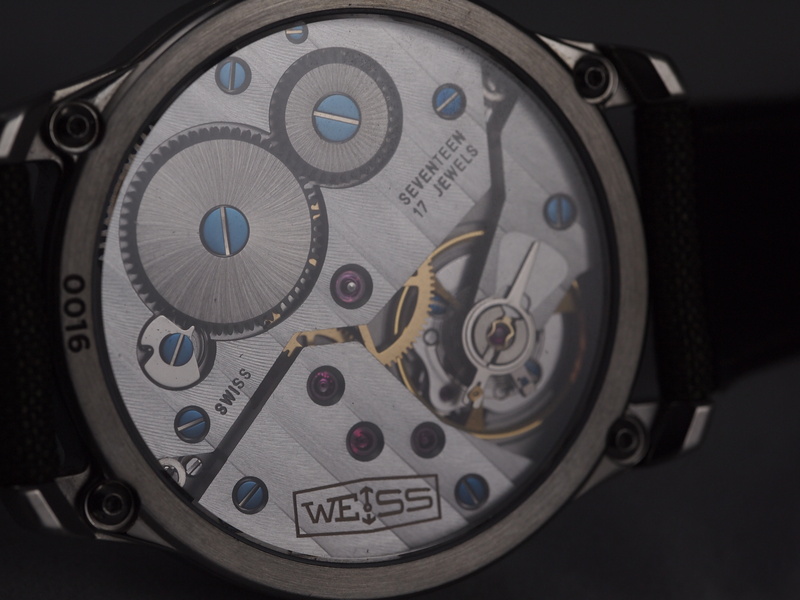 The combination of a brushed steel middle case sandwiched between a polished bezel and polished side of the case back manages to pull of both an industrial American-made feel with a just enough polish to exude the particular refinement one expects of a piece crafted with the care that Weiss puts into each one. It also allows for the watch to be worn well with jeans or a jacket. All together this is a purchase that I have zero regrets about. There are certain times where we make a choice to sacrifice for a principle, like when you pay extra for ugly organic produce, or when you pay extra for fair trade chocolate that tastes slightly more chalky than a piece of velvety Valrhona. After a good deal of time with this watch, I can say it is a rare instance where I sacrificed nothing for a principle that I support wholeheartedly, and I can’t wait for what they put out next. 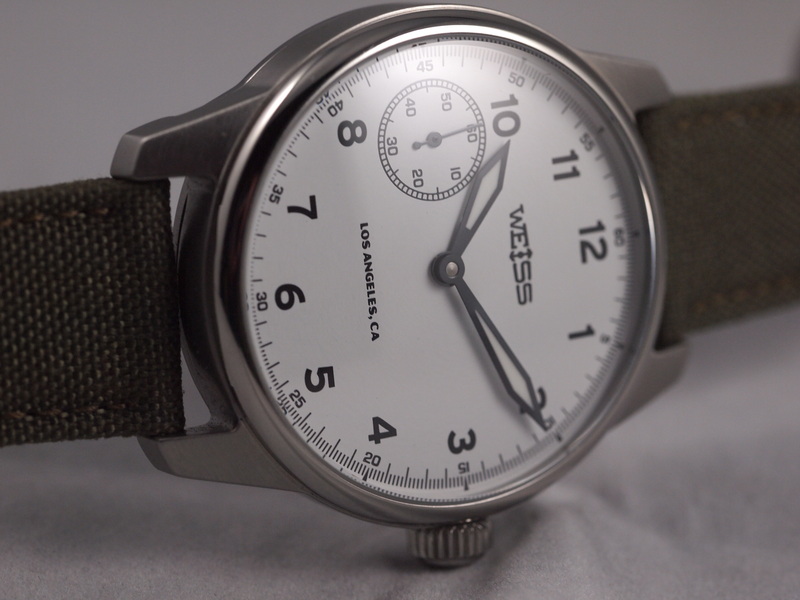 This entry was posted in Reviews and tagged American Made Watch, Weiss Field Watch, Weiss Review, Weiss Watch, Weiss Watch Review. Glad to read another great write up on this watch. I just ordered mine on Friday. Can’t wait! Glad to see another person joining the growing number if Weiss owners! Be sure to let me know your thoughts once it arrives!